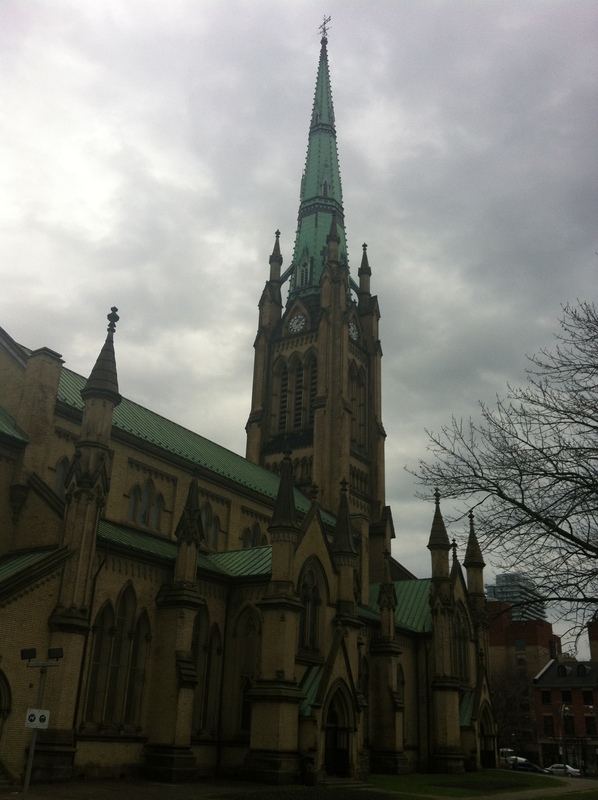 Tasting Notes from Trade Tasting held at St. James Cathedral Centre in Toronto on Monday, April 20th, 2015. Eleven wineries represented – around the horn it was Norman Hardie Wines, Southbrook Vineyards, Charles Baker Wines, Stratus, 13th Street Winery, Flat Rock Cellars, Cave Spring Cellars, Tawse Winery, Malivoire Wine, Bachelder Niagara and Hidden Bench Vineyards & Winery. 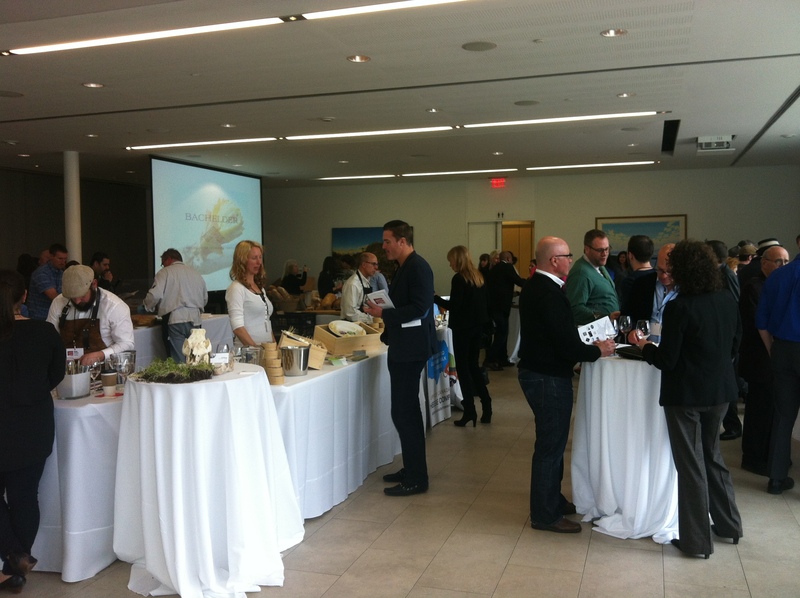 A separate Late Harvest and Ice Wine table was set up with seven wineries offering sweeter samples. Terrior, the french term for Somewhereness, describes the interplay of all the characteristics that make up a wine and how the uniqueness of individual place, type of soil, and varietal choice influence the final product. 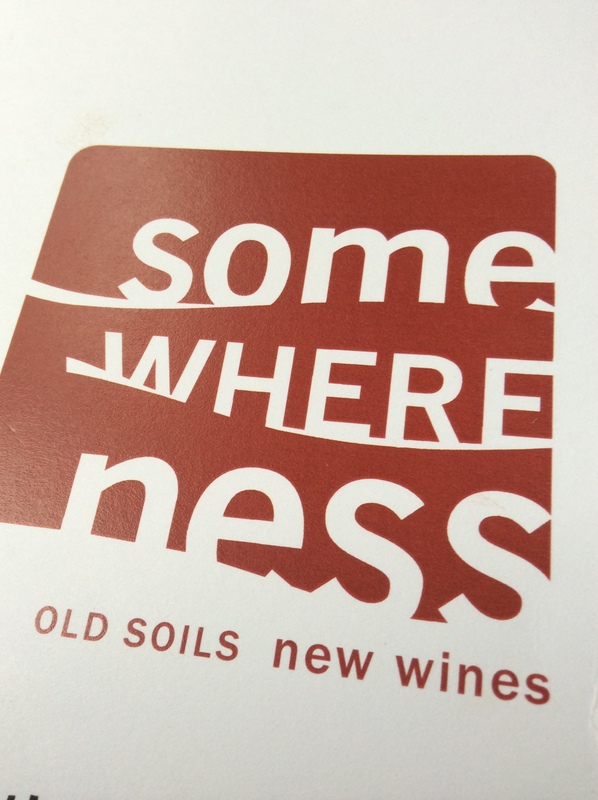 The Somewhereness experienced continued my belief that Ontario makes delicious wines that truly speak to their sense of place. Balance was a descriptor used to describe many of the wines tasted. Fruit and acidity, tannins and texture, refreshing and satisfying. “Somewhereness is more than just an event. It allows us to recognize the particular beauty of a place. Since Ontario’s wines have just such a particualr beauty, Somewhereness celebration makes sense in a single sip.” – Matt Kramer, author and wine columnist, quote from programme. I tasted whites first, followed by reds with a sweet and a couple sparklers mixed in. Also showcased were a number of artisan food purveyors with some awesome cheeses, smoked salmon, bacon and eggs, breads and preserves offered to compliment and complement the wines. Below are my short notes and impressions from what I tried. Some I thought would be excellent with FOOD and are noted as such. 2013 Norman Hardie Wines Calcaire VQA Ontario – mineral witha tinge of sweetness. Nose and flavours of apricots and granny smith apple. Summer sipper, light and refreshing. 2012 Norman Hardie Wines Niagara Chardonnay VQA Niagara Peninsula – crisp and refreshing, smoother than County, balance. 2011 Norman Hardie Wines Niagara Pinot Noir VQA Niagara Peninsula – floral and pretty, feminine power, excellent. My favourite Pinot Noir of the day. 2014 Southbrook Vineyards Small Lot Orange Wine – a natural wine with no sulphates, may use very low (10 ppm) in bottling, cloudy pale orange colour gives way to vibrant orange swirl aromas and crisp blood orange flavours. Definitely unique, discussion about the predisposition to having a taste for a certain amount of sulphates from the trace amounts in most wines. 2012 Southbrook Vineyards Poetica Red VQA Four Mile Creek – freshly opened bottle slightly closed. Beautiful nose of red licorice, raspberry, red ink. Tannic, acidic, young spicy bite. Balanced in its power, still a baby. Decant for FOOD now, will evolve for years to come. 2010 Southbrook Vineyards Vidal Icewine VQA Niagara Peninsula – golden brown colour with a nose of caramel squares, sherry notes, caramel apple pie. Flavours replayed with slight acidity, not unctious and not thin but smooth. Sampled with de la terre bakery multigrain baguette topped with rhubarb ginger jam. 2014 Charles Baker Riesling Ivan Vineyard VQA Twenty Mile Bench – minerality and vibrant young fruit sweetness against a lemon lime finish and a dry acidity to end. 2012 Charles Baker Riesling Picone Vineyard VQA Vinemount Ridge – juicy and still young, almost jammy on the nose. Tastes of apple pudding and a lemon curd tart that fell in gravel, hints of petrol starting to evolve. Balanced acidity and fruit, outstanding expression for a hot vintage. 2008 Charles Baker Riesling Picone Vineyard VQA Vinemount Ridge – silky smooth with the same aromas and flavours of the 2012 with more petrol to bring it into a nirvanic state of equilibrium. The next evolution with more integration – outstanding. My favourite white wine and favourite wine of the day. 2014 Wildass Rosé VQA Niagara Lakeshore – pink grapefruit aromas and flavours from this freshly bottled pink prettiness. Clean, clear, dry and refreshing. 2010 Stratus Red VQA Niagara Lakeshore – excellent, perfect balance of dark red fruits and bright acidity. Fine wine finesse that shows how the sum is greater than the parts. NV 13th Street Winery Cuvée Rosé VQA Niagara Peninsula – fantastic nose of Laura Secord strawberry cream chocolates, fine mousse of strawberry and white cherry. Sampled with Fat Chance Cold Smoked Salmon prepared by Imant Malins, enjoyed the smokey fatness of the salmon with the fruit and acidity of the sparkler. 2014 Flat Rock Cellars Nadja’s Vineyard Riesling VQA Twenty Mile Bench – nose closed at moment but hints of lemon pineapple upside-down cake come through. Lively and exciting on the palate with a luxuriously smooth oiliness, mouth coating then refreshed with acidic backbone. Great expression of Somewhereness. Interesting to taste a new, younger version from this vineyard compared to the 2007 I tasted in the fall. 2012 Flat Rock Cellars Gravity VQA Twenty Mile Bench – dark ruby with a nose of rusty beets. Flavours of red cherry, crisp red current, roasted beets. Smooth tannins for so young. Lots of potential for evolution. 2010 Cave Spring Cellars Sparkling Riesling Extra-Dry VQA Niagara Escarpment – nose of petrol, lemon pith, orange peel with a mouthful of lemons and limes and vibrant acidity. Evolving mid-age Riesling with bubbles. You can tell it is a Riesling, in a good way. 2013 Cave Spring Cellars Dolomite Cabernet Franc VQA Niagara Escarpment – crisp nose of red raspberry, brick and clay. Bright acidity to balance the chalky stewed red fruit. Still a baby, potential for fantastic evolution. 2011 Tawse Winery Laundry Vineyard Cabernet Franc VQA Lincoln Lakeshore – inky purple goodness with a nose of black and red fruit. Finely gritty (good) tannins reveal the black raspberry and blackberry acidic backbone. 2011 Malivoire Wine Stouck Meritage VQA Lincoln Lakeshore – inky depth in this dark and angry wine. Grip from tannins and copious black and purple fruit, leather and smoke. Serious and masculine. Lots of life left in this juggernaut. 2012 Bachelder Lowry Vineyard Pinot Noir VQA St. David’s Bench – balanced and lovely with light red fruit. Integrated tannins for so young, drinking very well now.